Nobel College was established in 2001 AD by the promoters of Nobel Academy as their extension institute to provide a value-based education at the Bachelor level. The College is affiliated to Pokhara University. Nobel College is committed to the provision of the quality and relevant for Nepal s future managers, entrepreneurs, IT specialists, and health professionals. In an increasingly complex world in relation to global markets and emerging multi-national culture involving competition at the national, regional, and international levels; it is essential that the country has available to it skilled manpower able to take Nepal successfully into the future. The undergraduate level training offered by the college is designed specifically to meet this need. Since the same entrepreneurial team has established Nobel College that set up Nobel Academy - an institution that has already acquired an enviable reputation for the quality of its education at junior and higher secondary levels - Nobel College enjoys goodwill and credibility as an institute of repute. This college also offers BBA, BCIS, BPH and BHCM in affiliation to Pokhara University. 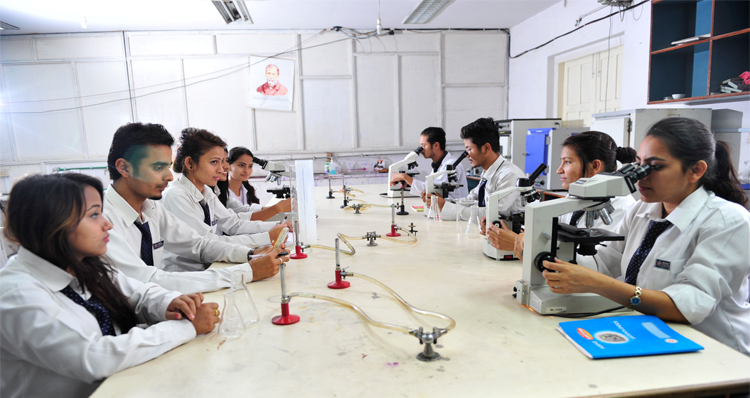 Nobel College has successfully implemented several programs at the Bachelors level in the fields of Business Administration, Computer Information System, Nursing, Medical Laboratory Technology, Medical Biochemistry, Medical Microbiology, and Health Care Management with affiliation to Pokhara University. Every year approximately 480 students get admitted in Nobel College to pursue management and science programs. ● It is ranked as one of the top colleges in Nepal. ● It offers a comprehensive selection of undergraduate programs run by dedicated staff. ● It is built on a strong foundation of academic excellence and innovative teaching. ● It has extensive links with universities and business establishments both inside and outside Nepal. ● The degrees offered at Nobel are internationally recognized; credits can be transferred to international universities. ● It has an ethnically and culturally diverse student body with a mosaic of students from all over the country. ● It offers scholarship opportunities to meritorious and needy students. ● It is located in an ideal peaceful environment with sufficient space for curricular, co-curricular, and extra-curricular activities. The leadership of the college is strong and interactive. We have recognized our issues and the needs of our college, and are embracing them as an opportunity for improved ending. This is aligned to the learning area plans, performance management. The targets set by the college ensures that everyone is aware and focused on the collegeâ€™s short and long term directions. The college vision is to develop and encourage students to love life- long learning whilst equipping them with the skills, qualifications and personal attributes they need for a purposeful and fulfilling life beyond college. We are proud of all our studentsâ€™ achievements and we strive to take every opportunity to celebrate success. This success has been successful because of the commitment of students, staff, teachers and our partnership with parents. We believe that the partnership between home and college is a key part of a rewarding and happy educational experience. We are committed to driving up academic standard at the college. We apply every opportunity to improve the quality of our studentâ€™s learning experience and we aim to create an atmosphere where you will achieve to the best of your potential. The library subscribes to a score of professional and academic journals providing up-to date information in wide range of disciplines. The major English and Nepali dailies published from Kathmandu and other periodicals are also available. 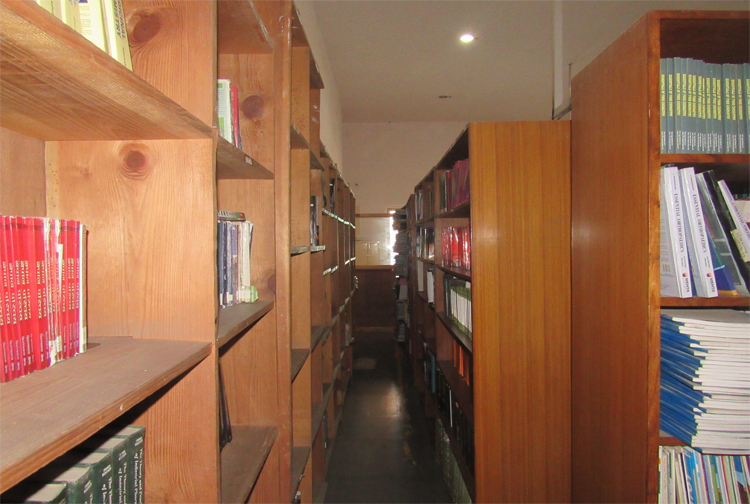 It holds a stock of reference books, company reports, statistics, maps, and past examination papers. Photocopies services are available at a nominal charge. The library has a provision for 24 hours internet hooked access to computers in the library for access to journals and periodicals. The library is equipped with the latest library management software named LIMAS® to provide better service to the students. Nobel College aspires to keep pace with the ever changing Information Technology sector and software to ensure that our students have ever-ready access to up-to-date technology. The increasing use of electronic communications in teaching enables the students in all disciplines in becoming more computer literate. 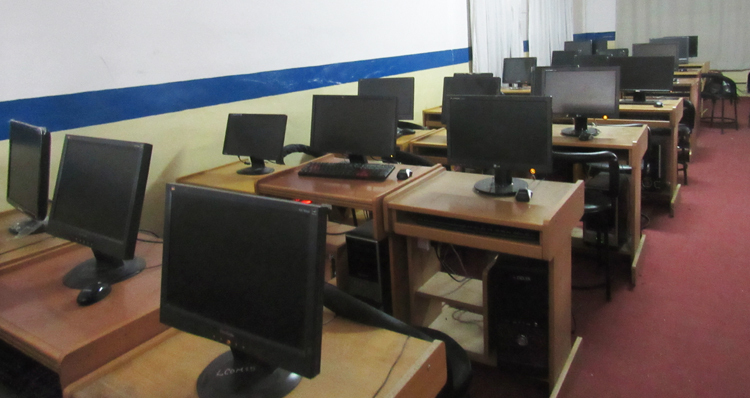 The College has a fully equipped computer centre. Computer rooms are open throughout the day. A comprehensive range of DOS and Windows application software is provided for word- processing, spreadsheet, statistics, graphing, drawing, presenting, programming library resources, Internet and E-mail. The centre has hundreds of full-text e-books available through every computer inside the college. The college has access to thousands of journals or full-text articles through HINARI, WHO, OARE SCIENCES. Microbiology is a rapidly expanding field of study, currently drawing information from and contributing information to nearly all the sciences from cellular chemistry to global climate change. The laboratory of Microbiology of Nobel College is highly sophisticated .It basically aims towards providing emphasis on sterile technique, microscopy, isolation and cultivation of microorganism. The biochemistry laboratory in Nepal College is designed to fit the needs of the students who wish to achieve Bachelor degree in Medical Biochemistry as well as to those planning to pursue graduate course in health science. Biochemistry Laboratory of Nobel College is well equipped with modern instrument like colorimeter Chromatography, Electrophoresis, Spectrophotometer to make student familiar with advance technology. The laboratory is spacious which can allow 20 students at a time to perform various experiments. The laboratory of Nobel College is advance enough to introduce competent manpower in the field of biochemistry. Hematology is the branch of medicine concerning the study of blood, the blood-forming organs, and blood diseases. The laboratory work that goes into the study of blood is frequently performed by a medical laboratory technologist or hematologist. Hematology is the branch of medicine concerning the study of blood, the blood forming organs and blood diseases. Hematology is an all- round science, generating and interpreting both quantitative and a qualitative data; using numbers on a daily basis to quantify blood cells, hemoglobin, or the time its takes a sample plasma to clot when exposed to different reagents, identify abnormal hemoglobin bands on an electrophoretic strip and describe the structure, shape and number of cells under the microscope. Medical Students/Laboratory practitioners working in a hematology laboratory perform an array of blood tests that investigate the cellular elements of blood and a number of proteins including hemoglobin and clotting factors. Hematological tests are performed on blood samples to diagnose diseases such as leukemia, anemia and abnormalities of blood coagulation. After practicing in this laboratory, medical students will expand their knowledge of the basic science and analytical techniques relating to Hematology and gain an up-to-date understanding of the application of Hematology in bioscience / pharmaceutical research, as well as in diagnostic and therapeutic medicine. In Nobel College histopathology laboratory is well equipped with instruments like Automatic Tissue Processor, Microtome. During the course of Study the students learns following skill to become competent Histotechnologist. Complete routine paraffin processing, embedding & sectioning. Fresh Tissue Freezing, embedding and sectioning. Basic histological stains, special stain and immunohistochemical stains on paraffin and frozen section. The college encourages its students to manage their own transportation as they may have to stay overtime for various reasons including tutorials, projects, presentations, and other group works. However, the College can provide the transportation facility for additional cost to needy students for fixed routes of transport. The College organizes several extra-curricular activities and sports events to supplement the academic programs to inculcate value system and team spirit. The College runs its own hostel for girls. Confirming the student's choice of academic major. Exploring and clarifying career goals. Learning to combine classroom theory and learning practical work experience. Gaining valuable work experience that makes a favorable impression or prospective future employers. Learning essential job-search skills that will aid in finding full- time position upon graduation. Acquiring greater independence, confidence and maturity by handing daily challenges in a work environment. Earning academic credit towards graduation while becoming familiar with state-of-art workplace technology. The application forms are available from the College Office. Students are admitted in the fall semester only, starting in September each year. Photocopy of Mark Sheet and Character Certificate of SLC or equivalent. Photocopy of transcript and Character Certificate of Intermediate/Pu/10+2 or equivalent. Photocopy of letter of recommendation from teachers at the previous School/Institute. Upon receipt of the completed application form, the candidate shall be registered for the Entrance Test. Any students applying for Management studies require at least 45% aggregate in Intermediate or 10+2 or equivalent examination in English medium. Any students applying for Science and Technology require at least 50% aggregate in Intermediate or 10+2 or equivalent examination in English medium. Nobel College shall conduct an entrance test to access the level of the applicant. A specimen copy of the entrance test question shall be made available to the prospective students with the application form packet. Communication including an essay of about 500 words in English. Logical Reasoning and Test of IQ. Mark Sheet and Character Certificate of SLC or equivalent. Transcript and Character Certificate of Intermediate/PU/10+2 or equivalent. Result from the College Entrance Test (CET). Letters of recommendation from teachers of the previous School/Institute. Fee Refund Students who withdraw from the college before the semester begins or after a semester is under way are not entitled to receive any refund of the paid charge, deposits and fees. According to Pokhara University and college rules.